Named (so cutely) after what they consider to be their passion—a factory of cards—two sisters have taken gifting handmade cards to the next level. Shubhangi and Chhavi Sahal used to gift cards to their friends and family on their birthday, and this thoughtful endeavour has now become a full-fledged company. They make custom cards and painted canvasses, framed doodles, and other accessories. Playing with different material and concepts, we love their gift packages, dreamcatchers, laser-cut gift cards and origami animals. They also make dog cards, key chains and a whole lot of other stuff, too, but we think it’s safer to stick to the usual gifts and small knick-knacks. 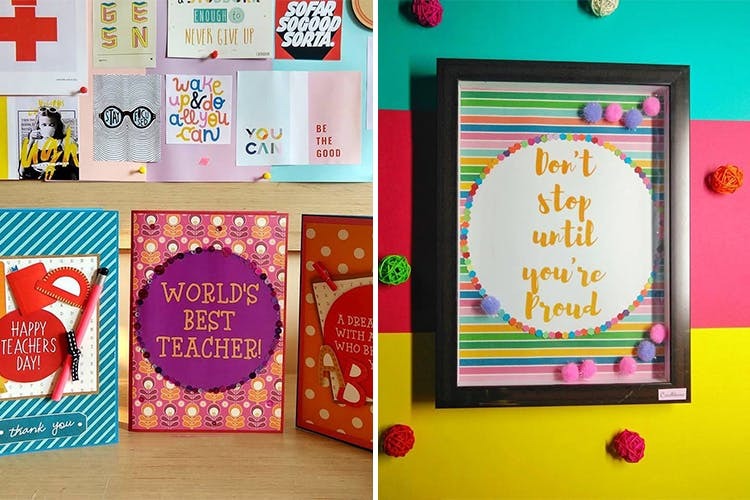 They've got the nicest cards for every occasion; whether it's Father's Day (they did the cutest shirt-and-tie cards), Diwali or any other occasion. We did like the fact that all their products are made to fit the customer's order, so they’ll replicate what’s in your head perfectly. Some of the products could have a better finish.